Good morning! 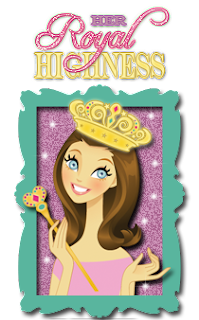 Ruza here to share a card that I sent in for the 2013 Gallery Idol Stamping Royalty contest by Paper Craft Magazine. I wasn't chosen as one of the Idols this year, but there's always next year. My card is heading to Operation Write Home (OWH) to be sent off to our troops. 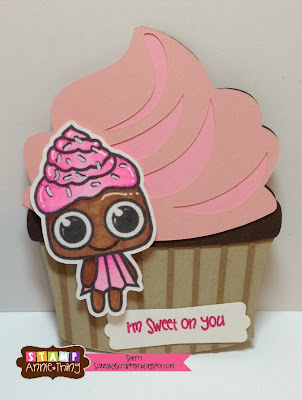 I used the adorable Lulu's Valentines Day stamps set to create a card for the Love category. After coloring her skin, shoes, and balloons I paper pieced her outfit, and they added her to my design. 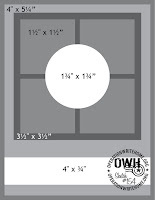 This set is perfect for creating cards for that special someone in your life. If you love this set as much as I do, and would like your very own Lulu's Valentines Day stamp set click on the link below. While your in the store I hope you check out the other amazing stamps that are available. April Release WINNERS and Stamp Release now AVAILABLE!! Come on by and visit and pick up a set or two!! Here our this weeks WINNERS!! *Please make sure to CLAIM your prize within 2 weeks, otherwise it defaults to another person. Contact me at Sales@ stampanniething.com (without the spaces)...with your FULL name and Mailing Address!! Hi Everyone and Welcome to the Stamp Release party!! We are here today to show you some sneak peaks of the April Release! 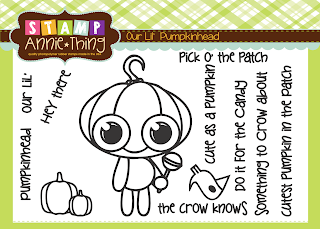 Our DT has prepared some inspiration and projects using the new stamps that will be available on Friday, April 26th. Make sure you participate in the HOP and leave a comment on each BLOG to enter for your chance to win!! The complete line up for the hop is listed below in case you get lost along the way! Today we are sharing our new release, Fun Starts Here. 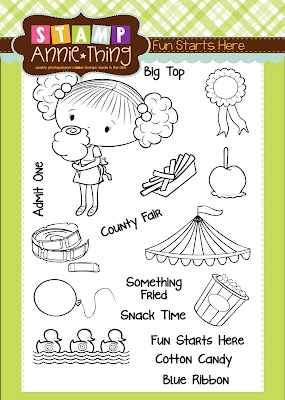 This adorable 4 X 6 stamp can be used for birthdays, carnivals, festivals, parks... lots of FUN stuff! the paper was just from my stash and the twine is Trendy Twine. Ready for the Giveaway info? Today we are sharing our new release, in our "Our Lil' " Series. This adorable 4 X 3 stamp can be used for birthdays, halloween , fall, or anything really!! Also used the small crow image and placed that on a JB die and used it as am embellishment. the paper was just from my stash and the orange twine is Trendy Twine. Day 2 April Stamp Release, ONE COOL HOMBRE!! 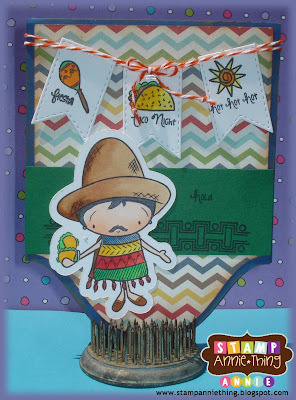 Today we are sharing our new release, One Cool Hombre. 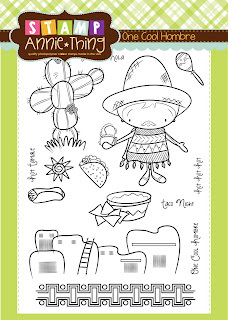 This is a 4 X 6 stamp set which is great for Fiestas, Cinco De Mayo or even just plain ol' Taco Night. This little guy is FUN to color...he has lots of little details in his poncho, perfect for shading! I loved making the smaller images into a banner flag on the top...to give it a fiest feel! I loved working with the bright primary colors! I also added some trendy twine! 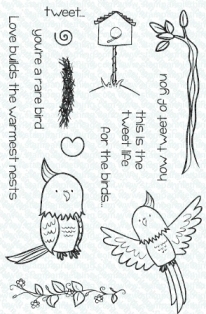 Day 1, April Stamp release Sneak Peaks!! - Our Lil Stinker!!! 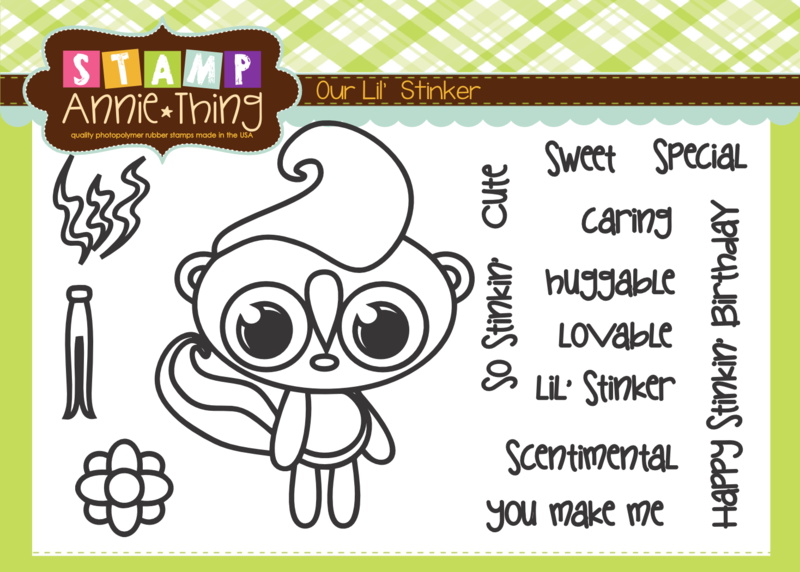 This adorable 4 X 3 stamp can be used for birthdays, love interests and even babies!! 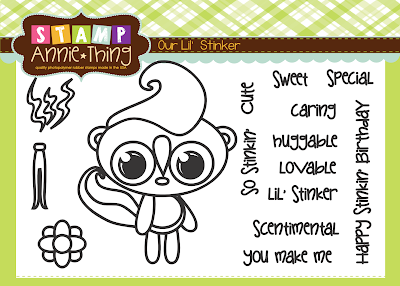 I created a very simple and sweet card featuring the Lil' Stinker Boy! The sentiment says You make me Scentimental!! Love that! I LOVE how this card turned out...from using the floral papers to the texture of the ribbon! Hi everyone it's Sherri from The Squeaky Scrapper with today's Stamp Annie*Thing project for you. 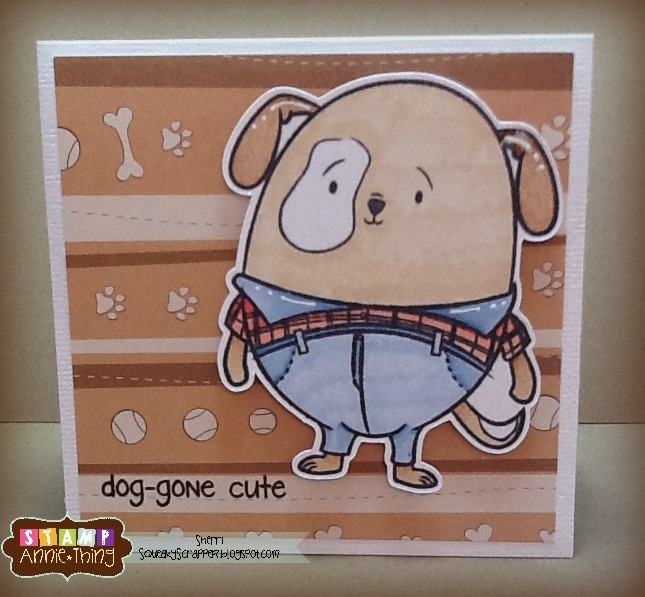 For my project this week I used the stamp set "Dog Gone Cute". This is one of the original stamp sets released, and I just love the little dog on the stamp set. 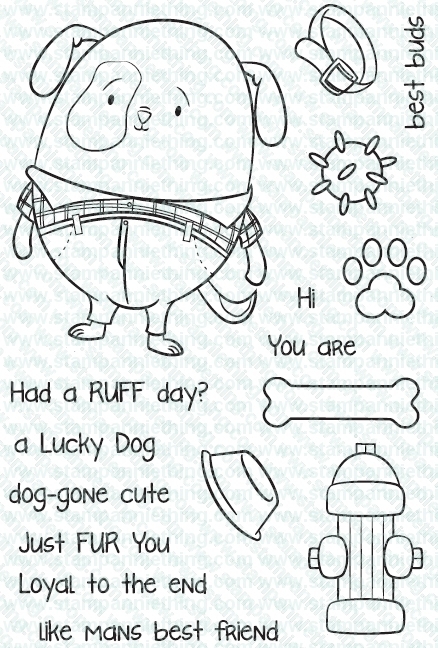 Here's what the actual stamp set "Dog Gone Cute" looks like. We would love it if you would become a follower of our Stamp AnnieThing blog and "Like" us on Facebook and share your Stamp Annie*Thing projects with us. and make it a great day!! Good morning! 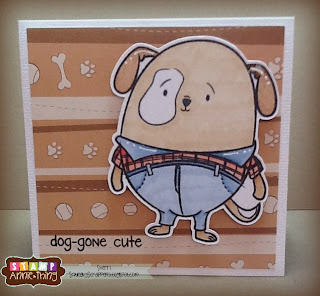 I have a super FUN card to share with you that I created with the adorable Dog Gone Cute stamp set. All of the images, except the paw prints, were colored with Faber Castell Art Grip Pencils and Gamsol. I picked up the Gamsol a couple months ago and this is the first time I used. See all of my Copic Markers were on my kitchen counter; this sort of encouraged me to try out this coloring technique. I enjoyed the experience and need to do it more often. Once all the images were colored I distress the edges with Gathered Twigs Distress Ink. I also applied Antique Linen Distress Ink over the paw prints to add some color. I love using sketches for inspiration when creating my cards, and today's card is no exception. I used an older Operation Write Home (OWH) Sketch for my design. Isn't this a cute set! There are so many options with this set that have been shared here on the blog. 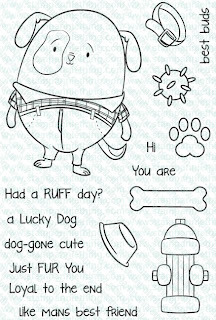 If you love this set as much as I do, and would like your very own Dog Gone Cute stamp set click on the link below. Good Morning everyone! I sure do hope you had a pleasant weekend! 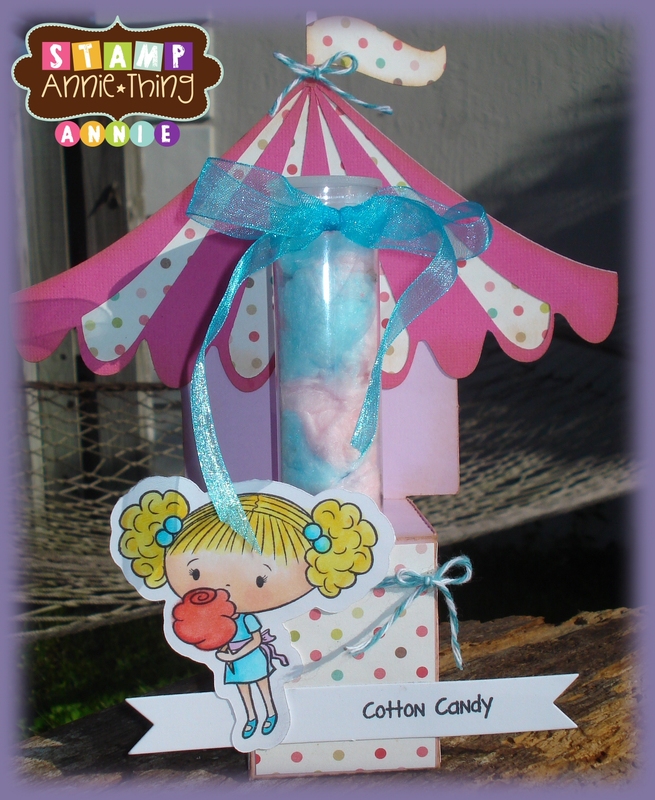 Today Im sharing with you a quick simple, carefree card I made. I again have to apologize how dark the photos are coming, I live in the SUNSHINE State..but the SUN has not been out in days....nothing but dark dreary weather. At least I know my summer photos will be much better once the sun starts to shine! So, for my project today, I created a very SIMPLE saying card. 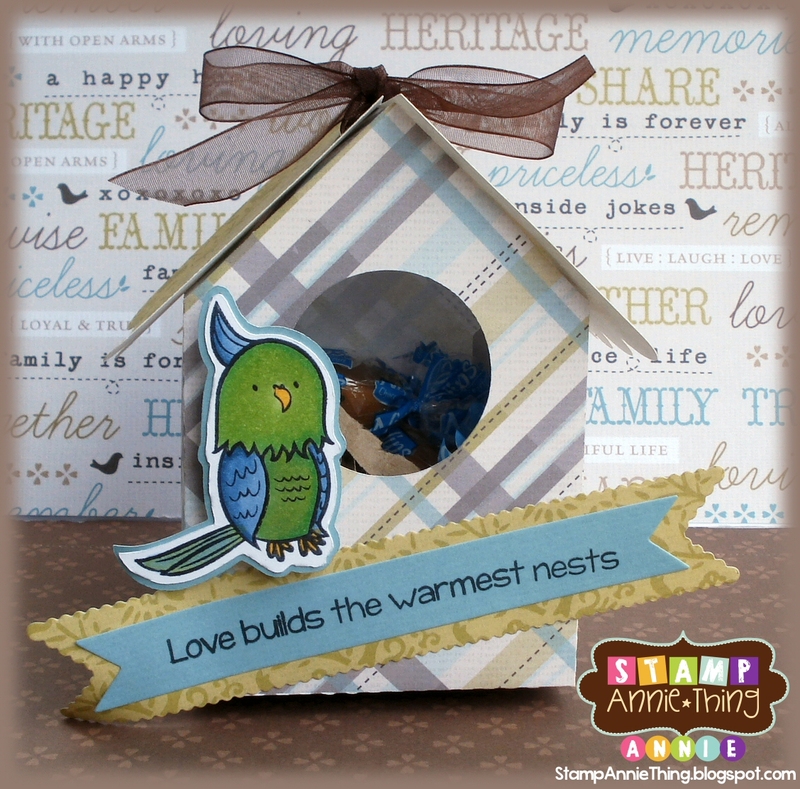 It utilizes three stamps off our Rare Bird Stamp Set. One sentiment and 2 images. I wanted to keep the card as simple as I could, and therefore used as little as possible. 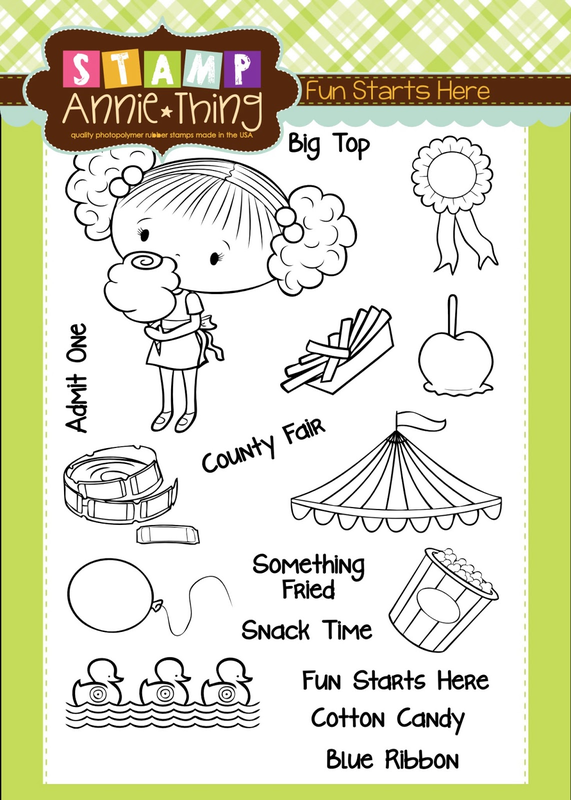 The Card base is a new file to be released later this week from SVG Cutting Files. 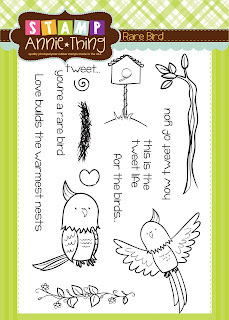 and the stamps are all Stamp Anniething Rare Bird stamp set. I Hope you enjoyed me super SIMPLE card this week. See you next time around!! Today I'm using one of the new stamps that was released a couple of weeks ago from the "Lil' Series". This one is titled "Our Lil' Cupcake",and it is just so cute. these little fire hydrates and backed it with Queen & Co. I only colored the flowers from the vine with my Copic Markers, and used four different colors. Here is a closer look of each card. I matched the border to each of the colors that were used on the flowers. 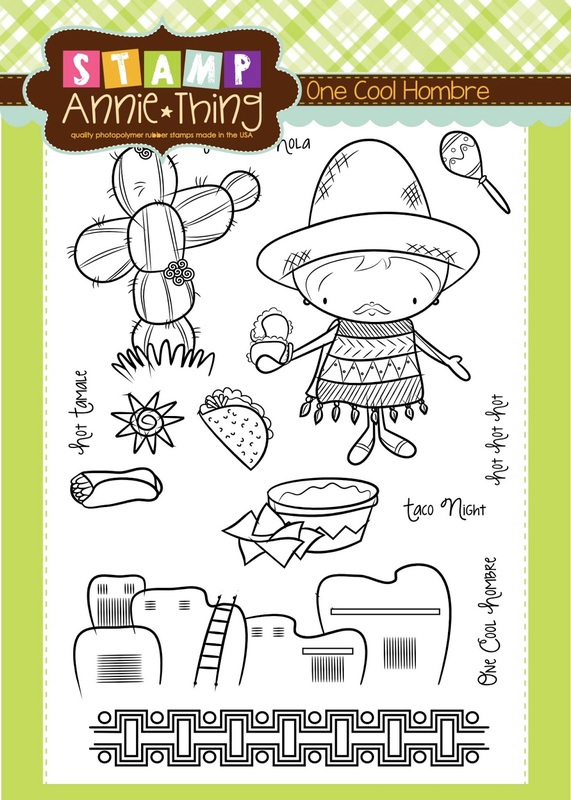 To get your own Rare Bird set, and to see the other stamps available in the Stamp Annie*Thing Store just click on the link below. I hope you have a marvelous week! Happy Monday Everyone, Annie here! Today I am sharing an adorable little project of a birdhouse treat container with our Rare Bird stamp set. Its been ever so cloudy the past week here in 'sunny' Florida, so I apologize that the photo is a tab bit dark. I will attempt to get more pics posted up if the sun ever DOES decide to peek out! So, how did I make it? I used all of my favorite things of course! and tied it all off with some brown Organza ribbon. 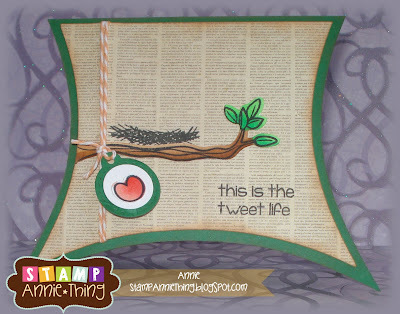 and stamped a sentiment onto the Jaded Blossom Flag Die. The photo really doesnt do it justice at all, its is SO flipping cute in person! become a FAN, join our FB Page and Follow our blog....as we continue to grow more FUN stuff will start happening! Today I'm using one of the new stamps that was released last Friday from the "Lil' Series". This one is titled "Our Lil' Monkey", and I am sooo in love with this little guy. The Scrapbooking Queen post day for Stamp Annie Things! has so much more you can use for it for any day fulled with LOVE! copic markers and highlighted it with the Best Gel Pen ever! Good morning! Ruza here to share a set of Simply Sweet Note Cards that I created with one of the images from Our Lil' Cupcake stamp set. 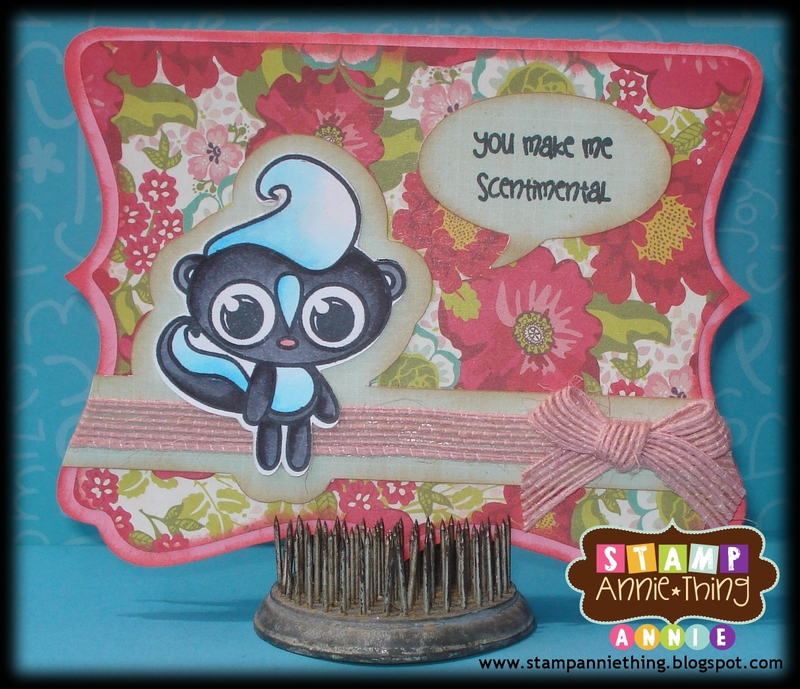 When I got this adorable stamp set from Annie and saw the cherry in the set I knew that I would create a set of Note Cards with 2 of the sentiments. The Note Cards are 3-1/2" x 5" in size, and will be going to one of my daughters Educational Team at the end of the year. I made 3 cards with each sentiment, and there is a slight difference between them all. The first step was to lay a strip of washi tape down where I wanted to put the sentiment. Next I stamped the cherries all over the cardstock with Memento Tuxedo Black Ink, took off the washi tape, used a Copic 0.35 Copic Multi-Liner pen and ruler to draw the rectangle, added the sentiment, and then colored in the cherries with my Copic Markers. Once this was done for all 6 cards, I layered my design on black cardstock, onto my cardbase, and then used a White Gelly Roll Pen for the highlights. Here are a couple of pictures showing the difference between each card. If you didn't hop along with us during our March Release last week, here is a look at Our Lil' Cupcake. I can see myself creating another set of Note Cards with the confetti. Hmmm ... might have to do that and use a birthday or thank you sentiment with it. 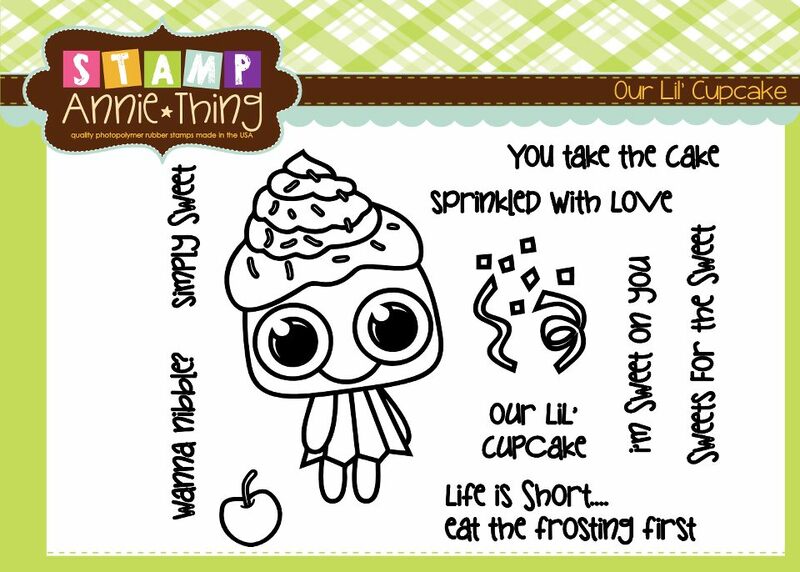 To get your own Our Lil' Cupcake stamp set, and to see all of the other stamps available in the Stamp Annie*Thing Store just click on the link below. 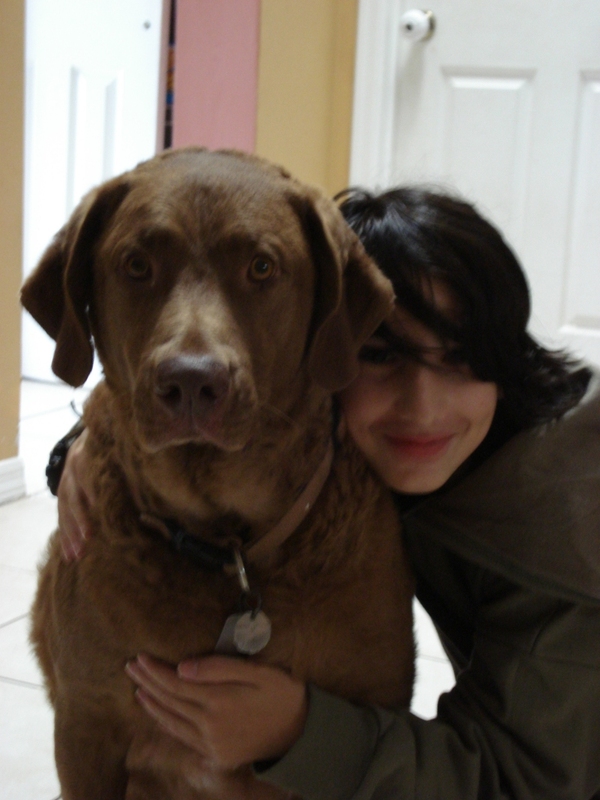 Hi everyone, Annie here! Today Im showing off a cute and simple project I made for our DOG LOVING friends! I have a wonderful Chesapeake Bay Retriever named Skipper... he is a big boy..but so lovable and such a great companion to my 2 boys. So here is a treat we made in honor of Skipper.. it contains some Milk Bone treats. 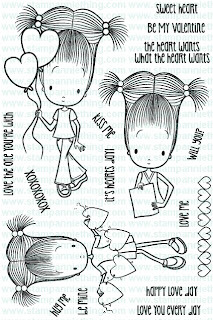 here is the stamp set I used...its a great 4 X 6 set that contains 7 images & 9 sentiments.